At South Downs Secure we know that the safety, security and well-being of your prized possession is paramount. So, we’re sharing some advice to help you select the right facility. If you’ve decided to invest in secure car storage in West Sussex or Hampshire, but feel unsure about which is the right facility for you, then read on. This article should help you decide. Five tips to help you choose your secure car storage. Examine the company that you are likely to keep. Arrange a visit to your prospective secure car storage facility to see how they operate. A brief chat with the operators will give you an idea of the type of vehicles they house or have previously looked after. If these are similar in condition and value to yours, you should feel reassured. It’s a good indicator that the team you are entrusting your vehicle to, have the expertise to look after it. Use a secure car storage specialist. As a proud owner of a specialist vehicle, you shouldn’t settle for less than specialist service. If a facility stores boats and caravans they may not appreciate just how unique your car is. 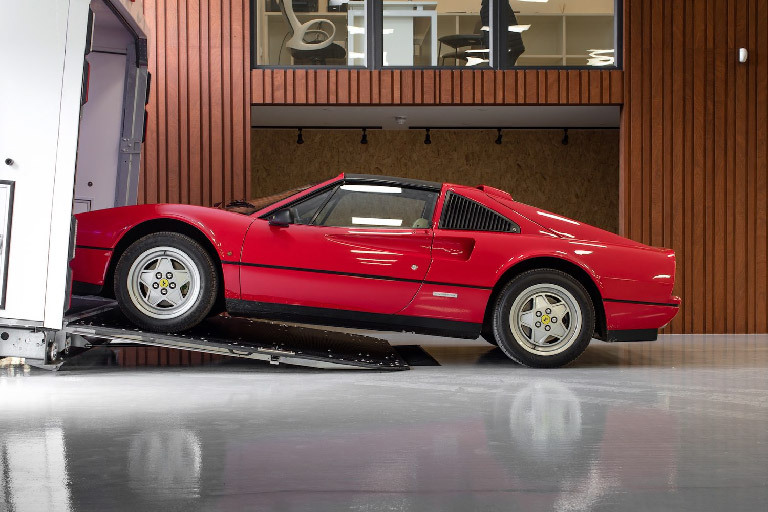 At South Downs Secure we’re dedicated to the storage of vintage cars, classic cars, supercars and all kinds of specialist vehicles because that’s our passion! You may discover that a storage facility offers other services, such as vehicle sales, or workshop rentals. If this is the case, consider whether the safety of your vehicle may be compromised by these extra-curricular activities. Think about the environment that the facility offers. Our bespoke facility has been designed to offer fully dedicated world class storage. It incorporates a custom dehumidifier system with an outstanding recovery time of less than one hour at peak exterior humidity levels. Our Italian designed system will maintain a relative humidity of 50% ensuring the perfect conditions at all times. Consider any extra services the storage facility offers. At South Downs Secure we care about your vehicle as much as you do. We provide our clients with a complete range of aftercare services. These are designed not just to maintain, but also improve the condition of your vehicle. We don’t, and never will, store hundreds of cars. That way, we can be sure we give each car in our care the TLC it deserves. Consider access to your car. Unfortunately, you may find that some secure car storage facilities can restrict access to your vehicle. You should never feel like your vehicle has been impounded. At South Downs Secure we encourage you to enjoy your vehicle as much as possible. We only ask that you allow us 24 hours notice by either telephone or email. While, access restrictions apply when collecting or returning your vehicle, times are flexible. We also offer an out of hours service. Contact us today for more information about our storage services and how we can help you secure your vehicle.